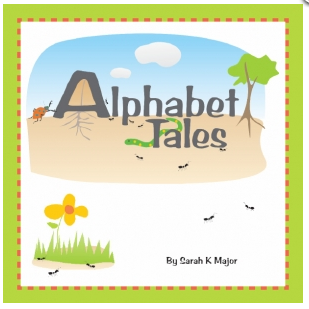 Use coupon code moneysaving to get a free download of Alphabet Tales from CurrClick. Want to encourage an early love of reading in your child? Start her out with Alphabet Tales. Each tale tells a story about how the letter came to have its shape and sound, creating a quirky, yet memorable learning experience. Charming illustrations enhance this meaningful learning/story time for all types of learners, but especially for visual, right-brained, kinesthetic learners. Embedding learning in stories makes it nearly impossible for any child to forget the all-important story content, so reading Alphabet Tales draws every child into the joys of learning to read. Pull out the rocking chair and just enjoy the stories in this book. 111 full color pages. This offer is good through May 25, 2012. Looking for more? Read more posts about Educational Deals & Freebies & Free ebooks. Thank you so much! Got it with no problems. Thank you! Can’t wait to read this to my youngest one this coming school year! After I submitted my code it told me it was invalid? What am I doing wrong? Make sure that’s all lowercase. Other than that, I’m not sure. Let me know if you try again and can’t get it to work. Thank you so much! This looks so cute! Does anyone know if it is possible to download it right to my kindle? I guess I should have clarified- my kindle fire? Thanks so much! I hope that this will be a help to my struggling readers! Thank you so much. I homeschool my kids and can’t wait to share this with them. This looks great. Can’t wait to try it out with my girls. We also homeschool, so this is going to be fun. Downloading now. WOW!! THANKS so much, this is great!